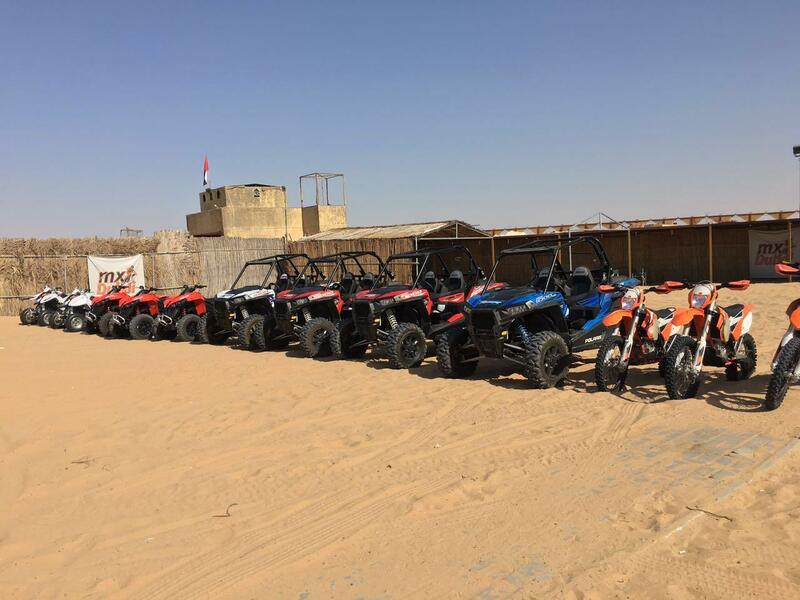 Fun and Exhilarating Motorbike, Dune Buggy, Quad Bike, Desert Adventure, and Watersports Tours in Dubai! 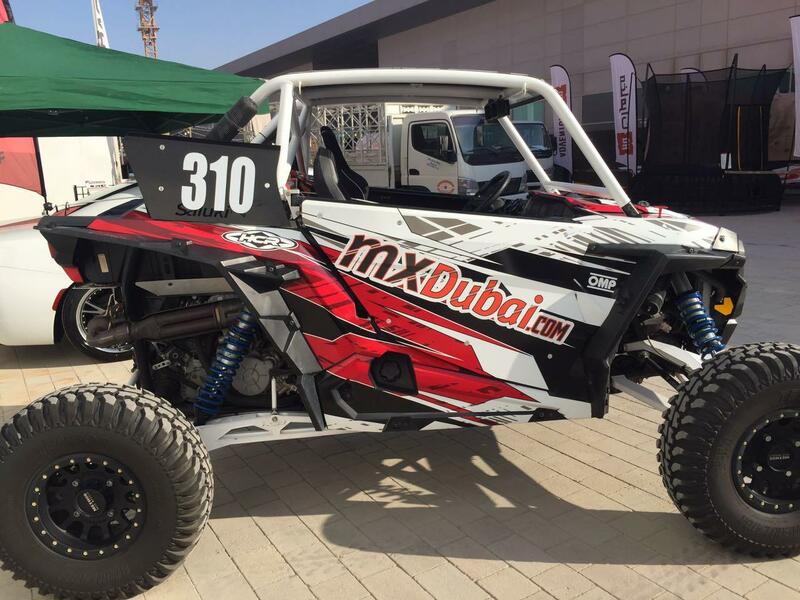 mxDubai is a premier adventure and water sports tour agency in Dubai. We work hard to provide our customers with an experience they will never forget. 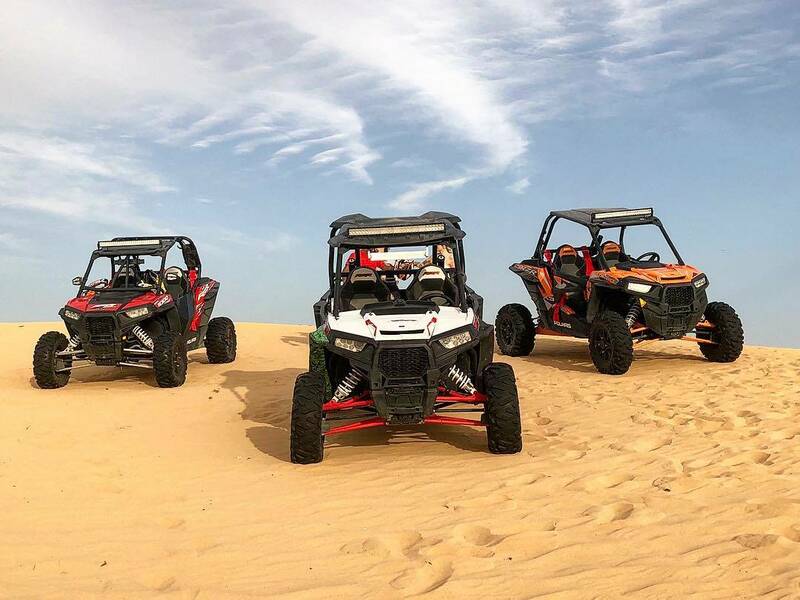 Whether you’re ready to tour the deserts on our motorbikes, explore the dunes in a dune buggy, enjoy the thrill of a quad bike tour, take an exciting desert adventure, skim the waters on a jet ski, or go flyboarding across the Dubai seas – you’ve come to the right place. 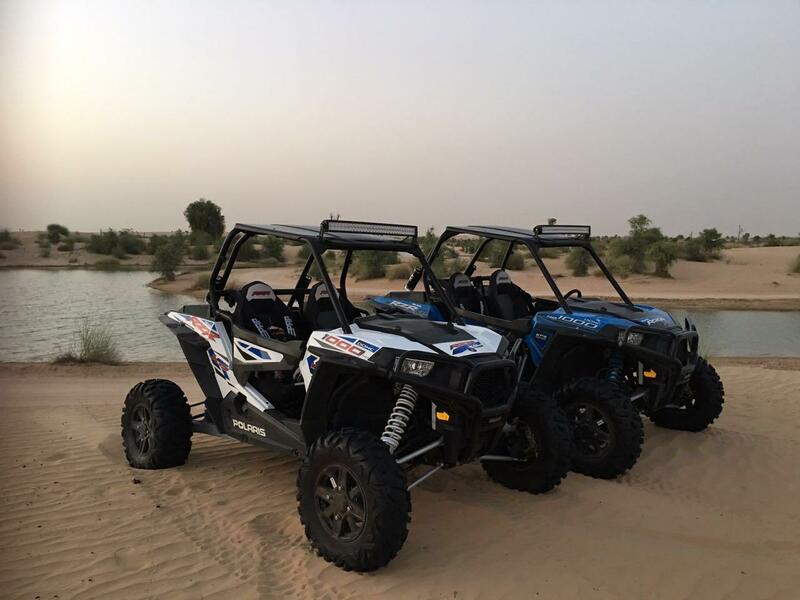 All skill levels are welcome – whether you’ve never ridden before or you’re an expert – we have everything you need, including brand-new desert and water-ready vehicles, top-rate certified instructors, trained tour guides, and plenty of safety features. Schedule your adventure tour today and prepare yourself for the adventure of a lifetime. 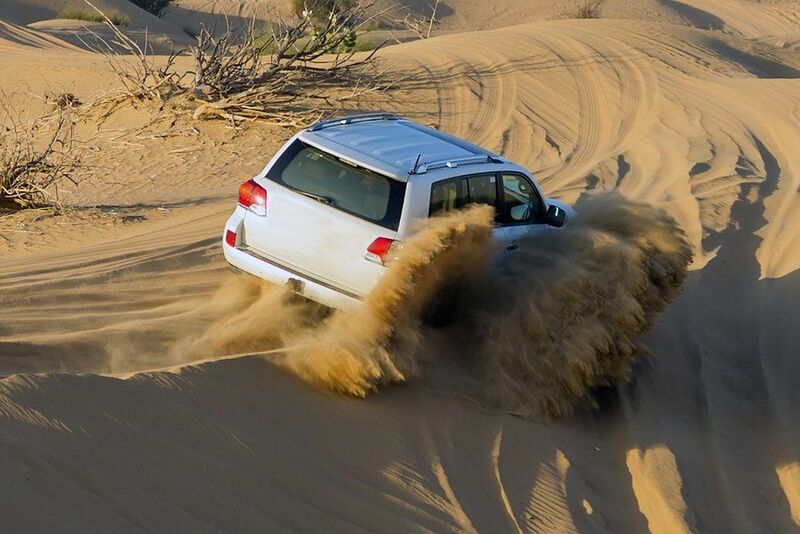 The best day of our Arabian adventure! The guide was exceptional and worked to our pace. The buggies we’re in excellent condition and very clean. We took the 2 hour Polaris tour & this was awesome! A must for anyone who wants to have some fun!! Best experience ever ! 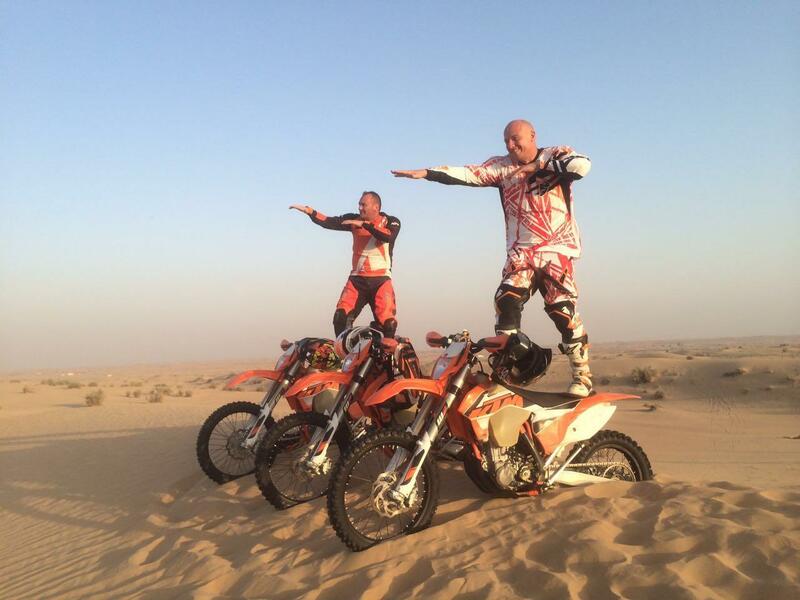 The équipement is perfect, bikes are perfect and the guide is a famous rider !! Thank you very much for the motorbike tour we loved and will come back for sure !!! Bellissima esperienza! Un sogno che si è avverato, bellissimi posti e tantissimo divertimento sulle dune, da ripetere assolutamente! 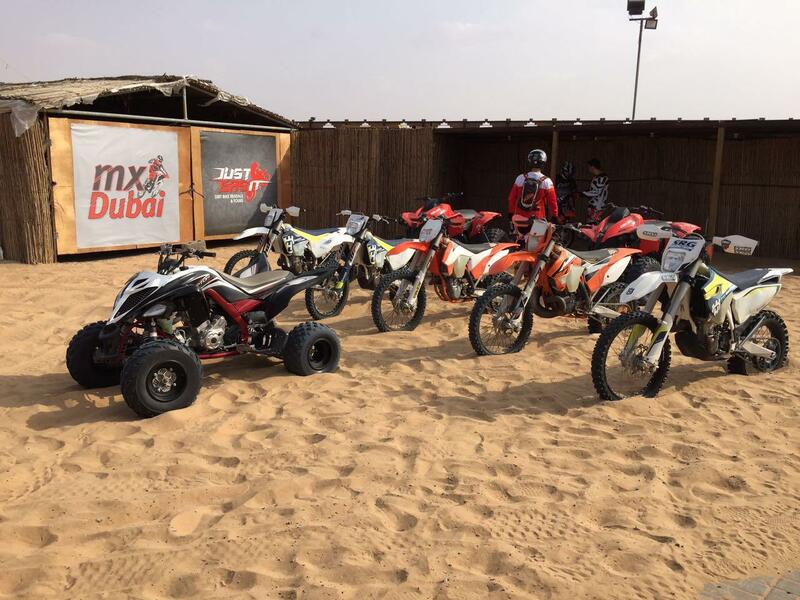 Grazie mx Dubai!!! It was an awesome experience! Good equipment, good service and awesome guides! Couldn't have asked for a better trip! Just do it ! It was so fun ! Thanks you so much for this great moment!! Only five stars because I can't put in it more but in reality that's about 10stars ! 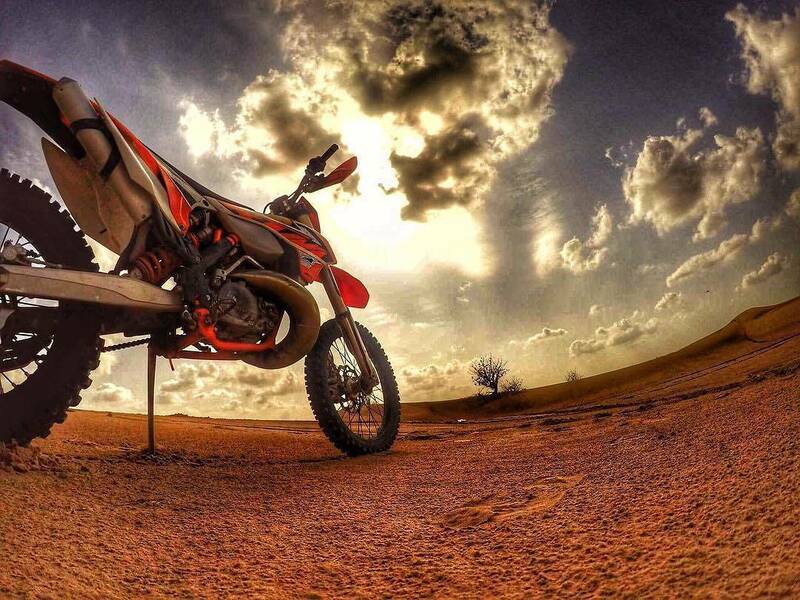 #BikeLife #RideOrDie Thanks you MxDubaï!! 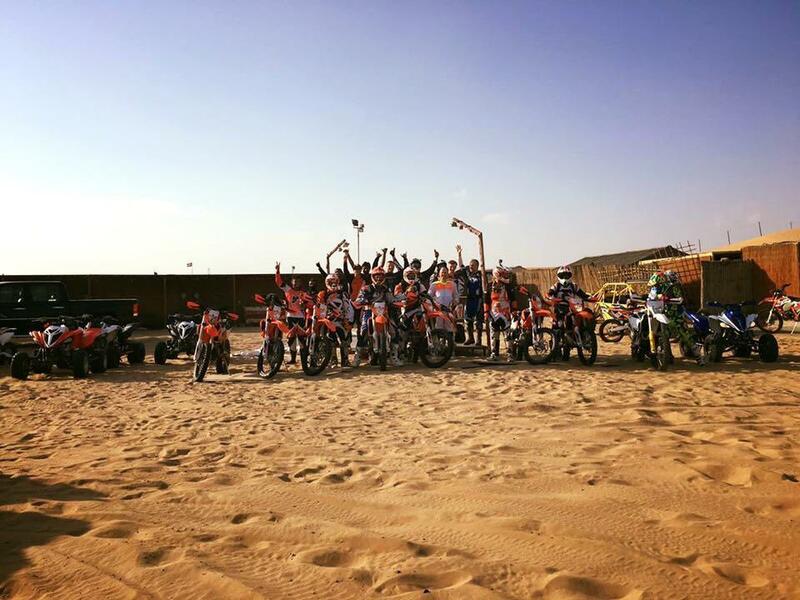 Best day in the Desert! Been doing a lot of different tours with ATV and snowmobile but this tour lets you go as you like!!! "There is no speedlimit on our tours. "- Do you have insurance?- No. Today we've done the buggy tour and it was an awesome experience, one of the best in my life. 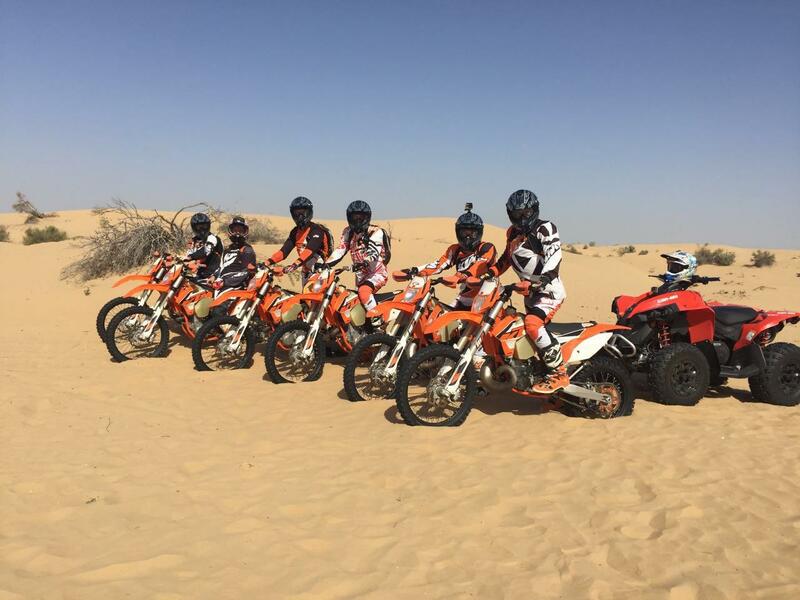 Thanks to all the team from mx Dubai, specially to Aftab for being such an amazing guide!!! 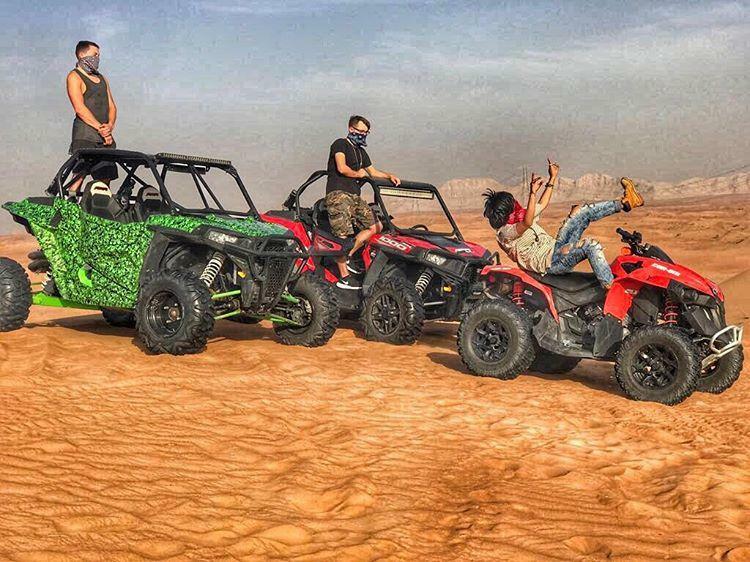 I recommend to all of you the 3 hour buggy tour, so you can get the experience to ride in the desert, specially to the experimented drivers. I can't describe how much of an amazing experience this was! From shahzad picking me up from the hotel to him dropping me off afterwards I had nothing but a smile on my face! 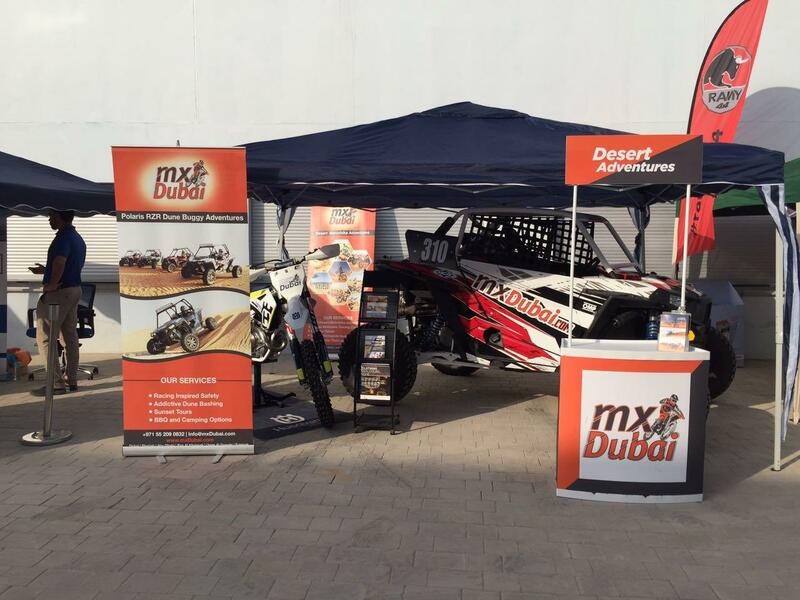 If you come to Dubai and not visit MXDubai then your doing it wrong! 100% will be comming back next year! I did the 4 hour experienced corse which was cut short by half an hour due to my own choice as the weather was getting abit to hot! But what a life experience I had!!!! Made my own way to the location which was about 1 hour from JBR. Thought I was in the wrong place as there were no signs, but the Google map location is exact. Phoned the guys and they come to pick me up in a 4x4 as this is truly in the desert. Got to the camp to a good welcome with some nice good quality kit to put on. 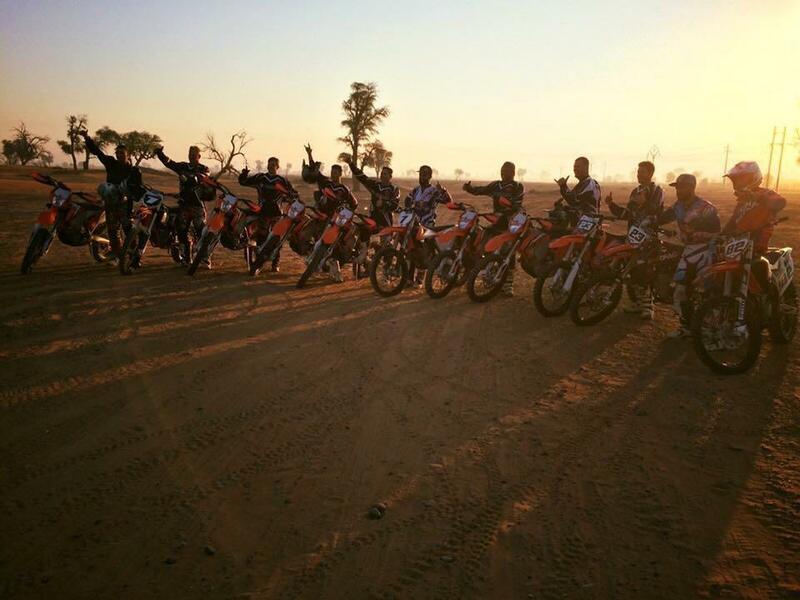 Some basic instruction and then onto the KTM450 for 2 hours of great fun! I'm in the TRF in the UK so used to riding green lanes, but I think if u have basic bike control you would be fine here. Just keep the gas on! Some great mini jumps, drops, soft and hard terrain. Watch out for the camels. Loved it. Thanks Aftab for a good lead out. fantastic experience! High-quality materials, excellent service, qualified staff who took care of us! Awesome tour. 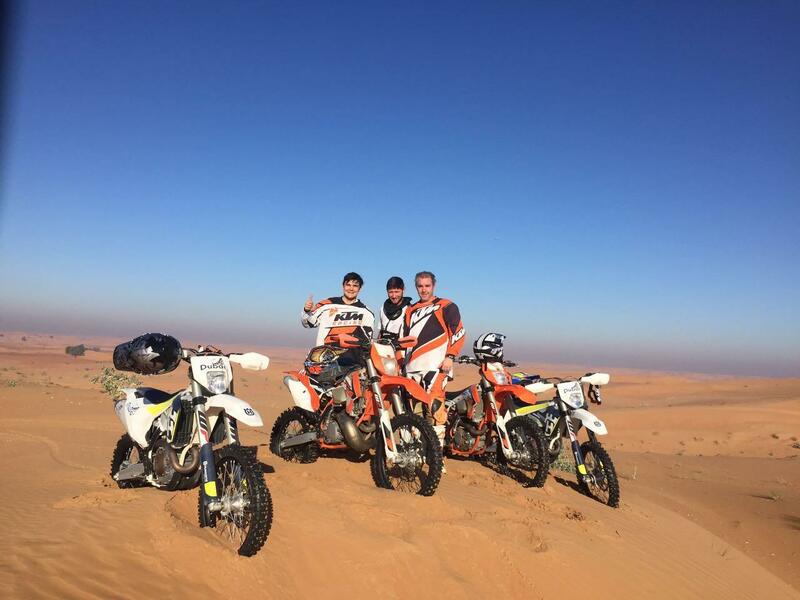 Did the advanced motorbike tour, covered plenty of ground, was a great way to see the desert. Bike and gear was excellent, Corne the guide was a top bloke and a good rider! Definitely well worth doing!!! A fantastic time on the desert buggies! David was an excellent guide; he was so cool under pressure in 'sticky' situations and when it turned out that we had to drive back in pitch black darkness he showed how well he knew the desert.... All I could do was have 'blind faith' 😉 The team are an amazing bunch of guys. Highly recommended. Whoooooaaaahh!! Amazing time yesterday with the tribe! wicked and really lovely instructors (Thankyou guys!) I've never had any experience with the 450cc Enduro bikes (only on road sports bikes) they got me all kitted out with all the safety gear on (nice clean gear by the way!) talked me through handling, and made it loads of fun and look so easy!! 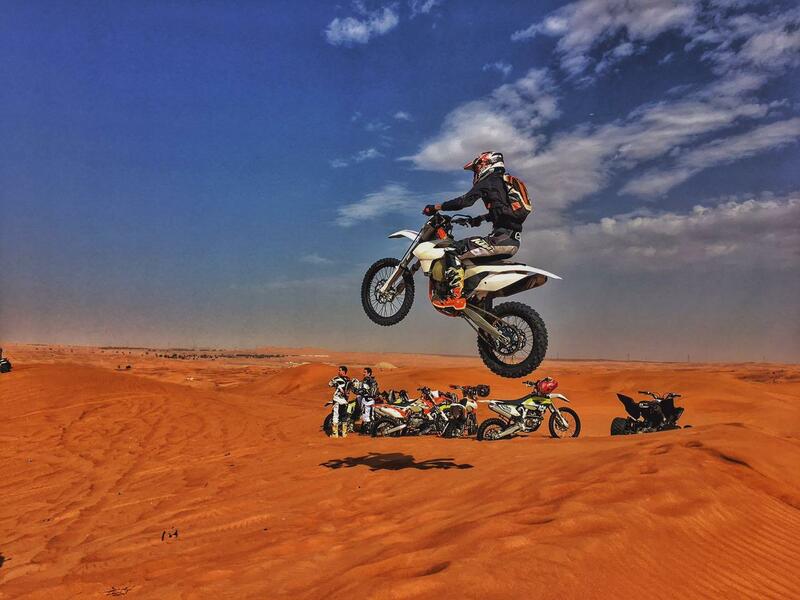 Loved the jumps looking forward to more practice and more wicked mornings out on the desert there!! thanks so much to Corne, Dawid And the gang!! 🙂 Aching today!!! Had a fantastic time! Would ride again! Quality bikes and gear, great relaxed atmosphere, great value for money. Couldn't have asked for anything else. Great day, good value for money and lots of fun. Can't recommend these guys enough. Will be back am sure. War super Cool mit einem tollen Guide und es macht mega Spass durch die wüste zu heizen. 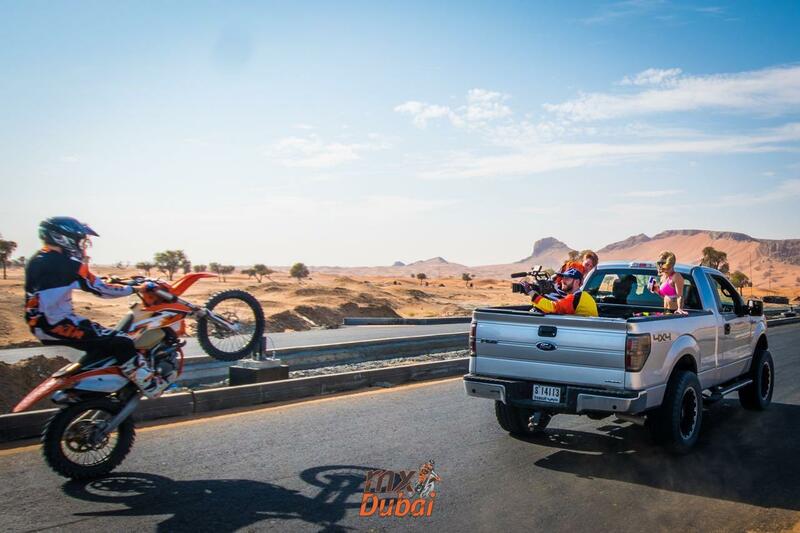 Die KTM 450EXC waren in Top Zustan und das Safety Equipment ist auf höchsten Niveau. Absolut Empfehlenswert. Absolut bester Aufenthalt den wir je hatten. Erst ging es mit dem Buggy los. Das messerscharfe Teil (mit einem Corvette V8 Motor und 450ps auf 600kg ausgestattet) hört sich dermaßen brachial an. Durch die Wüste mit Vollgas, da schlägt jedes Männerherz höher!! Anschließend ging es auf die Cross. Auch hier eine tolle Tour gefahren, unser Guide hatte immer alles im Griff wo es lang geht. 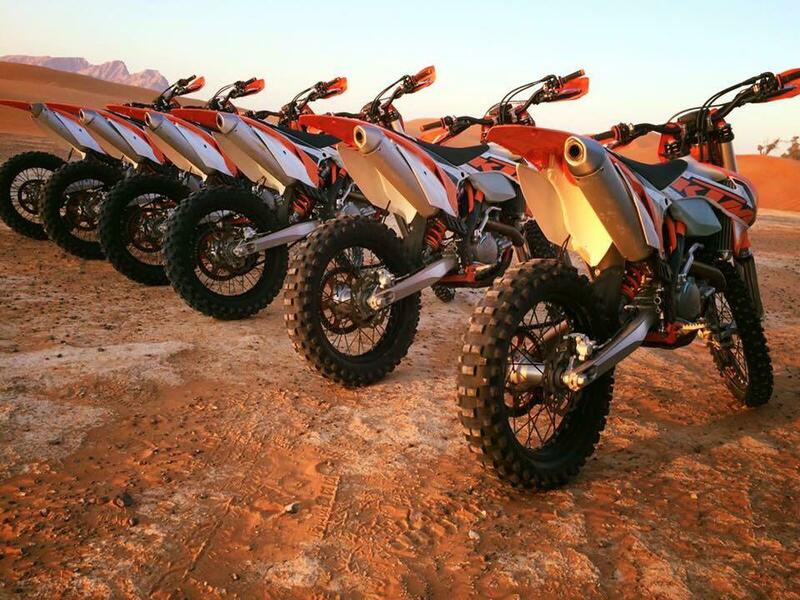 Nur das Neuste, neue Protektoren, neue Ausrüstung, neue Motorräder von KTM also von allem nur das beste! Als krönender Abschluss könnten wir uns abends noch bei einem Gläschen den Sonnenuntergang im Camp ansehen, ein traumhafter Anblick. Bei einem guten Essen, perfekt gegrillt und richtig Stimmung, haben wir den Abend ausklingen lassen. Ein sehr tolles Erlebnis und werden wir bei unserem nächsten Aufenthalt wieder machen. Hier bekommt man für sein Geld wirklich Qualität und richtig richtig viel Spaß. 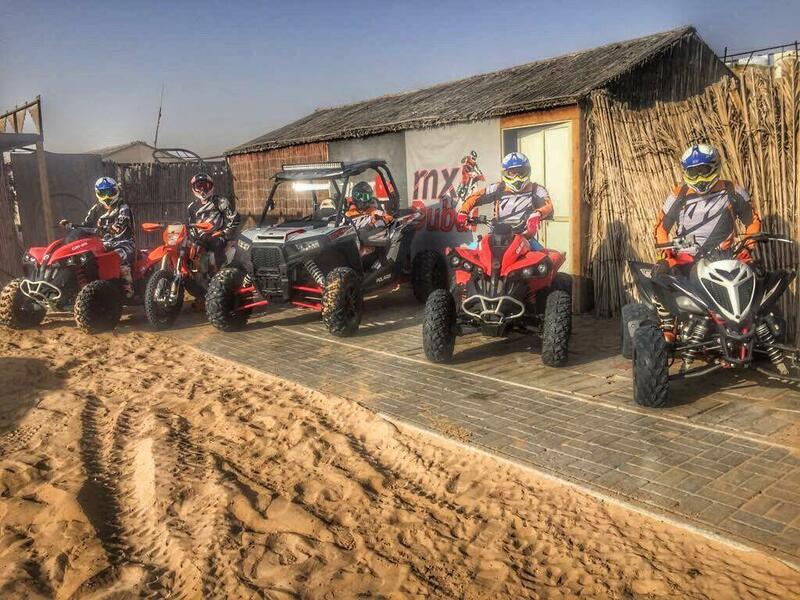 Das nächste mal nehmen wir noch die Jetskis mit 😉 Danke nochmal an das mxdubai Team!! 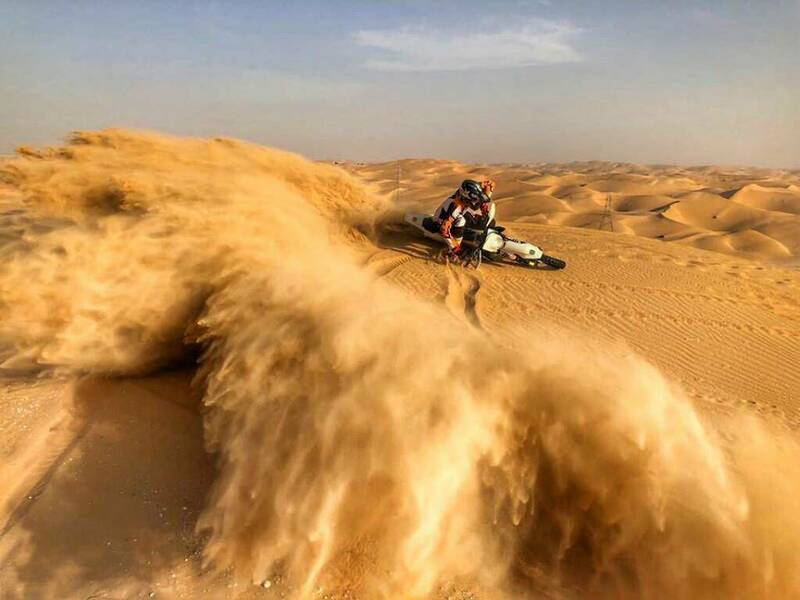 Beautiful experience, perfect organization, they take care of everything from pick up at your door to all the protection gear to great Ktm 450 exc. Definetely go for it. Thanks for an unforgettable experience ! 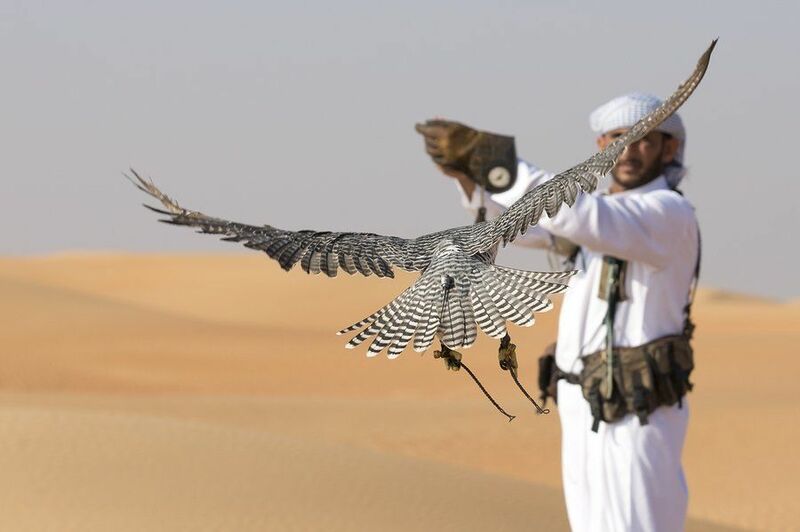 Thanks to Mustafa for the perfect organization and C for begin such a good (and patient) instructor... next time we will be out there for 2 days in the desert. We also would like to thank for the Jetski event, this thing is insane 😉 in a good way ! Keep on rocking guys ! Since first going out with these guys I have booked a session each week. Going again this weekend which will be my fourth time. The bikes, equipment and attention to detail is first rate, they even provide Alpinestar Tech 10 boots! I have introduced Mustafa and his team to a number of my friends and will continue recommending them. Well done! Took a lovely early 2 hour tour this morning, was absolutely incredible!! !The staff there are great so welcoming and friendly!. Even if you fall off which you will they do not laugh or make you feel stupid!.Did the Jetski yesterday which was just as great again the staff running it was amazing.Would 100% recommend whilst staying in Dubai and will certainly come back just for that!!! Amazing! The only company that lets you control where you go and what you do! After 10 minutes of expert training, you switch over and the dessert is yours. The buggy is the only one out there even the Arabs who run quad and 4x4 tours stop and stare at how much noise this thing makes. It's all very professional, they have a collection service to and from the hotel so I see the company doing very well! So much fun. 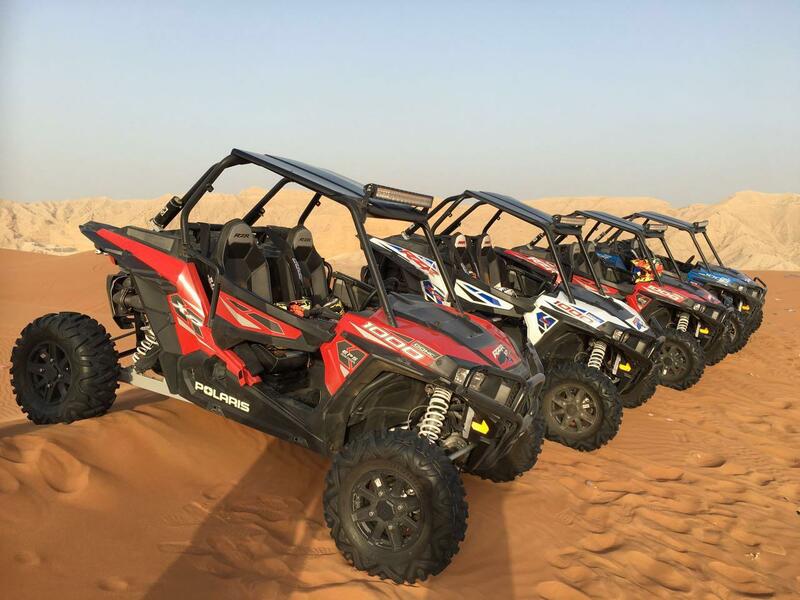 Don't waste money going else where, this is the one stop shop for adrenaline in Dubai, on land or at sea! Great no hassle service and great guys!